"It's absolutely fascinating to see Darwinian principles at work here. This community of people has developed their own biologically unique response to a truly terrible epidemic. The fact that this genetic evolution has happened in a matter of decades is remarkable." A community in Papua New Guinea that suffered a major epidemic of a fatal brain disease called kuru has developed strong genetic resistance to the disease, according to new research by Medical Research Council scientists. Kuru is a fatal prion disease geographically unique to an area in Papua New Guinea. 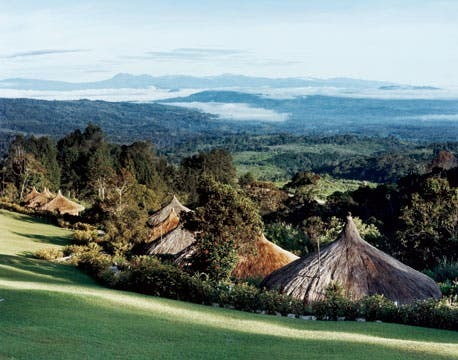 In the mid 20th Century, an epidemic of kuru devastated a population in the Eastern Highlands of Papua New Guinea. The infection was passed on at funeral feasts, where mainly women and children consumed their deceased relatives as a mark of respect and mourning -a practice banned and ceased in the late 1950s. Prion diseases or transmissible spongiform encephalopathies belong to group of fatal progressive conditions that affect the nervous system in humans and animals. In humans, prion diseases impair brain function, causing memory changes, personality changes, a decline in intellectual function (dementia), and problems with movement that worsen over time. Scientists from the MRC Prion Unit, a national centre of excellence in prion diseases, assessed over 3000 people from the affected and surrounding Eastern Highland populations, including 709 who had participated in cannibalistic burial feasts, 152 of whom subsequently died of kuru. They discovered a novel and unique variation in the prion protein gene called G127V in people from the Purosa valley region where kuru was most rife. This gene mutation, which is found nowhere else in the world, seems to offer high or even complete protection against the development of kuru and has become frequent in this area through natural selection over recent history, in direct response to the epidemic. This is thought be one the strongest examples ever of recent natural selection in humans. The study, which began in 1996, is published in the New England Journal of Medicine.